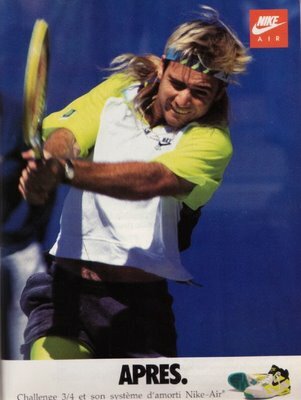 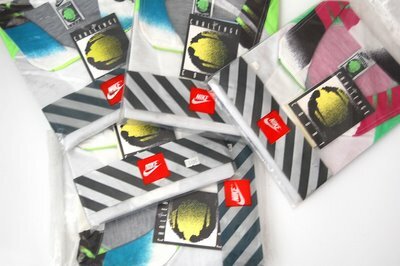 As a kid I always admired Agassi.. well, to be honest, I more admired his outfits and his shoes then the game he was playing. 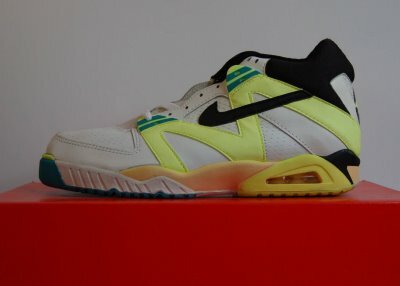 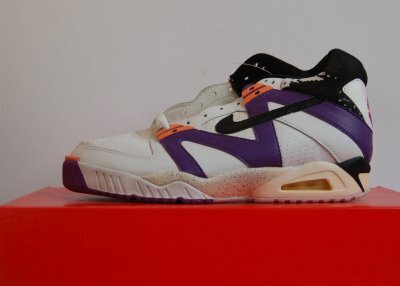 Although, the Air Tech Challenge I and II are my favorites, I am always fascinated by the ATC III. I had to wait 20 years before i could finally have the complete set of his “neon” time, although I am still missing the bandana and the spandex innershorts which apparently somebody cut out these new shorts…. 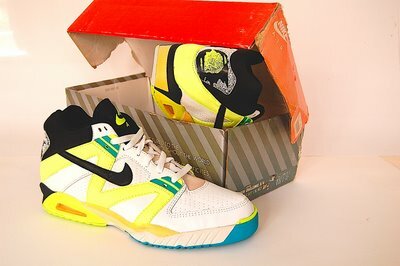 Yes I am a fanatic!